Ever get a new hair cut, look in the mirror, and say "what the heck was I thinking?" If that's a yes, it won't happen again after today. With so many looks and hair cuts out there it's hard to sometimes find one that best suits you. What looks great on a celebrity who's photo you bring into the hair salon for reference, might not look good on you because you have two polar opposite face shapes. How do you even know though what your face shape is?! Well one good way to find out is by taking a directly face on selfie with your hair pulled back off your face. Once you take your selfie, trace with your finger along the outer line of your face. Whatever shape you end up tracing, that's....you guessed it...your face shape. 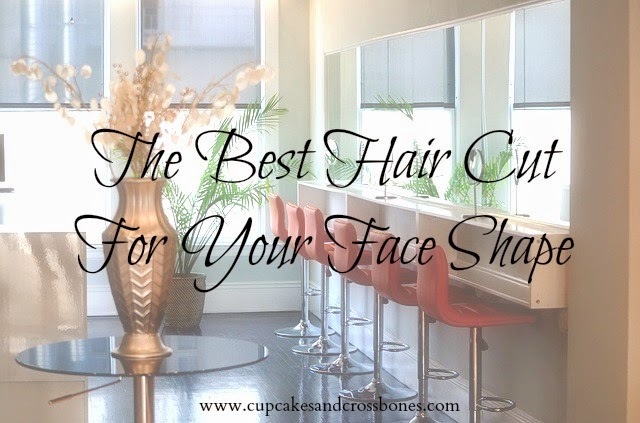 Now that you know what your face shape is, lets get to styling. When you have a round face the best cut for you would be a mixed length cut. Add a deep side part along with some side swept bangs for a slimmer look. If you wear a center part try getting a cut that lands a few inches past your shoulders with the layers hitting around your jaw. To take away from the lines of a strong angular jaw, use soft curls or long layers to soften your features. Try to stay away from anything one length or blunt. This messy, tousled, and layered look is great for framing a face that has blocky features. Bring balance to a heart shaped face with medium to long length hair. Balance out a pointy chin with side swept bangs and use layers that end at your cheek to frame your face perfectly. By getting bangs you are able to create width on the forehead. You can also create balance with layers at the chin. Create width for a long face by keeping length short and above the collar bone. Chin length bobs as well as wave,s add width to a seemingly long face. You can choose from a huge variety of different cuts because they all suit you so well. Soft flowing waves are always a great option to stick with though when framing a face. Now that you know the best cut for your face, go out there and get that summer cut you've been waiting for! What was the best or worst cut you ever received? Thanks! Right? Emma Always looks great! They really do always look great. I think they would look great on you! YES to this! As much as I hate side bangs (hello mega annoying), they definitely suit my face shape (round). And I always have to have face framing layers and a side part! Taylor Swift always does the perfect cut for her face. Love this!! Her hair is always on point! I have a round face. Long will always be my jam. Every time I cut it even just 2 inches, and I regret it. Same here girl! Every time I cut it short I'm like eeehhh noooo why?! i'm lucky i have a stylist that is really good and knows what will work. i'm picky about my hair stylists and my cuts.